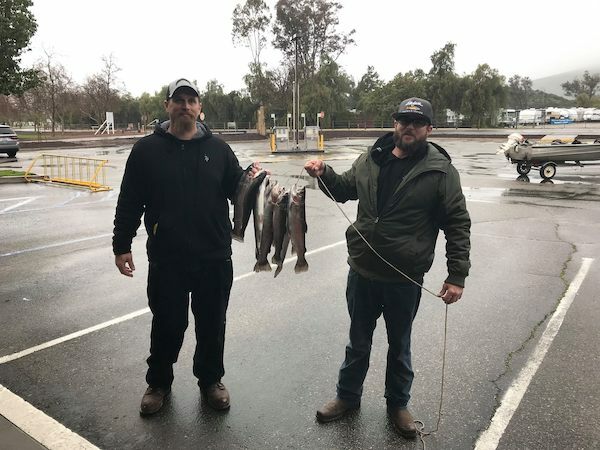 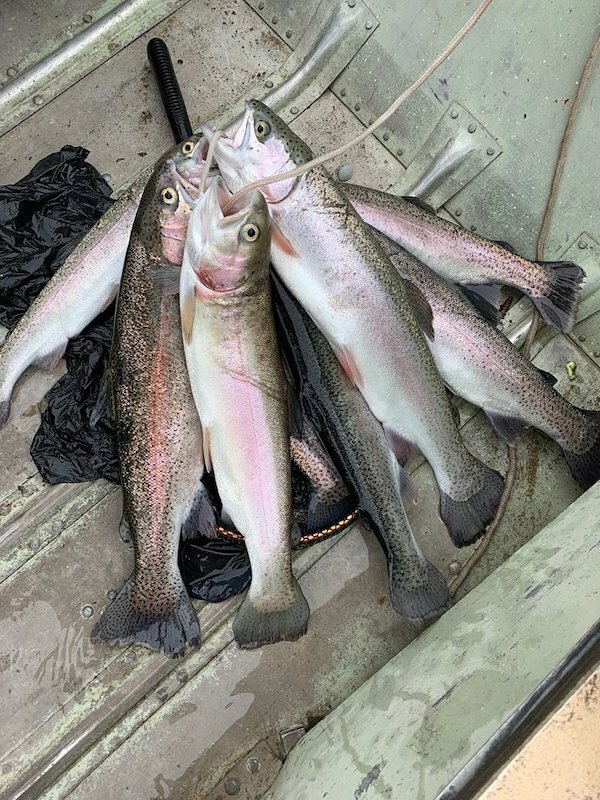 Glen Eastman III, from Hemet, CA and Aaron Aznoff, from Riverside, CA, fished Lake Skinner on March 2, 2019. 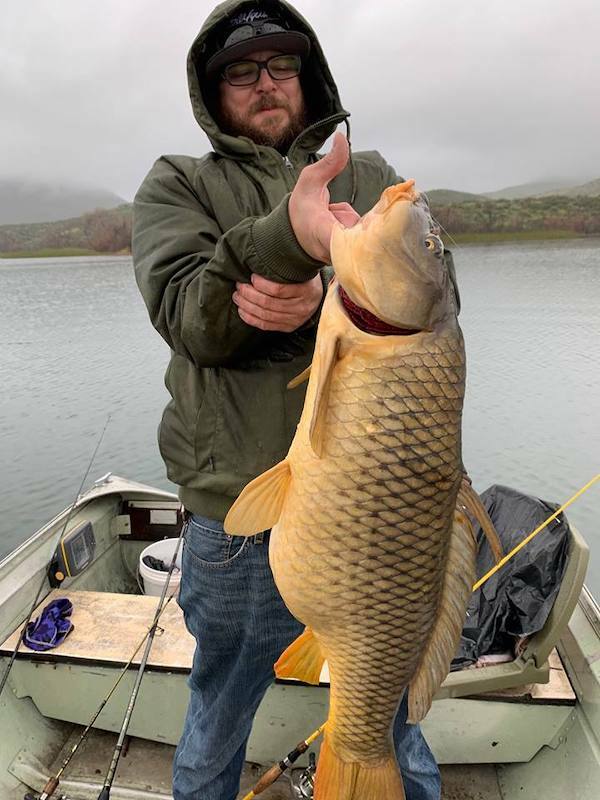 They caught one 21 pound Carp and a stringer of 2-3 pound Rainbow Trout fishing off a boat from the North Shore. 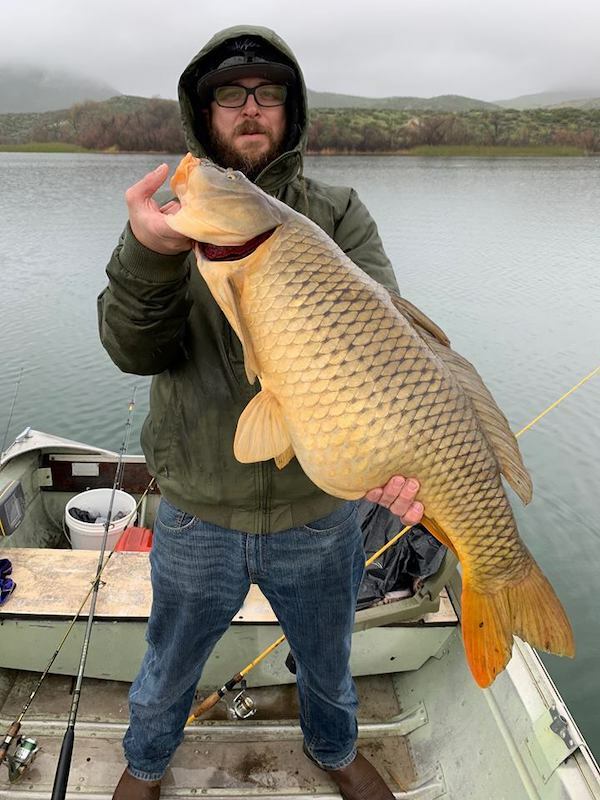 They were using chunky cheese PowerBait.